Folks... 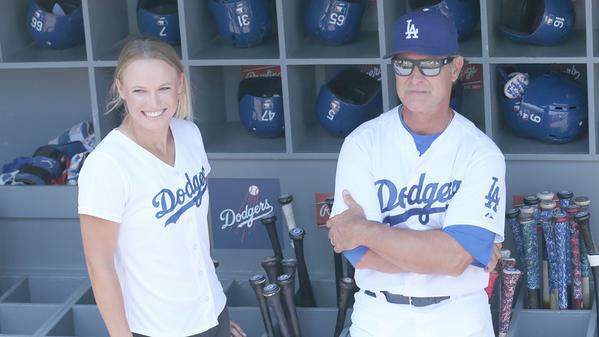 I think we got a glimpse at the Dodgers next free agent signing. 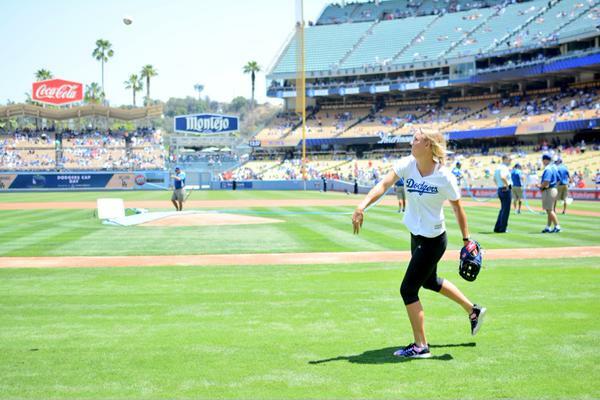 Yesterday afternoon, tennis pro Caroline Wozniacki, tossed the ceremonial first pitch prior to the game, and absolutely wowed the fans. She confidently strolled up the mound, took her place on the rubber and tossed an Eephus-styled pitch right down the middle for a strike. Wozniacki is currently ranked in the top-5 in tennis and a proven champion, so her athletic skills are no surprise. Still, we've seen so many stars make this attempt and fail. Watch her make her pitch and read out "It's Time for Dodger Baseball" to the fans below. 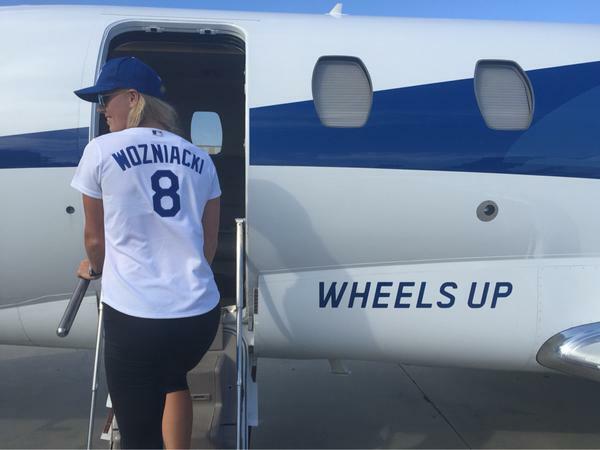 Best yet, when she headed out of town later that day she proudly wore her Dodger Blue jersey, as evidenced by the pic she tweeted out below. *Photo at the very top via @SI_Tennis on twitter.